Published Wednesday 22 August 2018 Due to an error at our print contractors, there have been some issues with our Household Enquiry Forms. 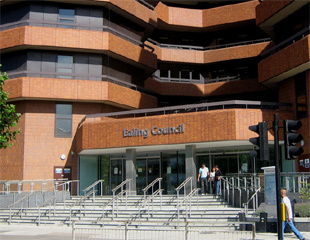 We have been made aware today that a small proportion of Ealing Household Enquiry Forms have been sent out by the appointed print contractor with reply envelopes addressed to the Electoral Registration officer at Birmingham City Council and vice versa, with Household Enquiry Forms for Birmingham having been sent out with reply envelopes addressed to the Ealing Electoral Registration officer. Both Councils are investigating with the contractor how this error occurred. If there are NO CHANGES to your details you can either call 0800 197 9871 (Freephone) or log on to www.householdresponse.com/ealing using the security codes contained on your form when prompted. If there are CHANGES to your details you can reply on line at www.householdresponse.com/ealing using the security codes contained on your form when prompted. You should refer to your Household Enquiry Form to find the instructions on how to respond using these methods. If you wish to send the form back via post, please use the envelope enclosed addressed to the Registration Officer at Birmingham City Council. We have made arrangements with Birmingham’s Electoral Services Office to securely exchange any forms as swiftly as possible at no extra cost to either local authority. The arrangments we have in place will ensure all data will remain secure.